For the last 10 years, we have proudly been known as Coast Capital Savings Library here at KPU, acknowledging the generous support from Coast Capital Savings. Because of CCS, the Library's ability was "enhanced...to provide a welcoming environment that is conducive to student learning and academic success," says University Librarian Todd Mundle. CCS continues to positively impact KPU students through other generous means, as well as through previously established endowments. 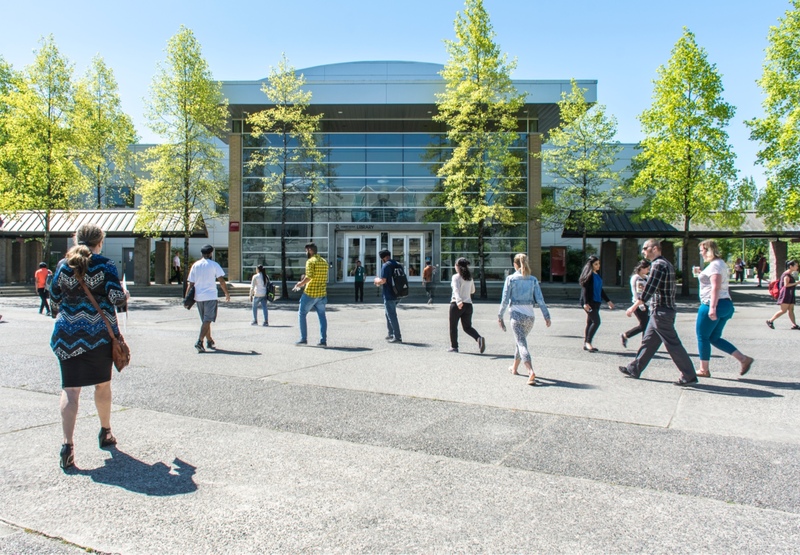 The Library will begin, on March 25, to transition its name to KPU Library from Coast Capital Savings Library, as the Library's 10-year naming agreement with Coast Capital Savings has come to a close. We appreciate CCS and their continued support of KPU students and they have our gratitude for a great 10 years. Thank you, Coast Capital Savings! The Library has a new collection that focuses on your health and wellness! Made up of well-reviewed, recently published material, we've designed the collection to gather material pertinent to the KPU Healthy University Initiative's Six Dimensions of Wellness. The collection is located in the Library Atrium at Surrey Campus Library, behind the Research Help Desk, and all books can be placed on hold and sent to the campus library of your choice. Visit our Wellness Collection Libguide for more details. The Library is pleased to offer a new suite of tools and services to support the creation, modification and adoption of open educational resources at KPU! In partnership with KPU Open Education, this initiative enables KPU instructors and their students to access the knowledge and tools needed to contribute to this important movement in education. Learn more at OPUS.